Square Louver - 19 1/2" x 19 1/2"
Maintenance Free! 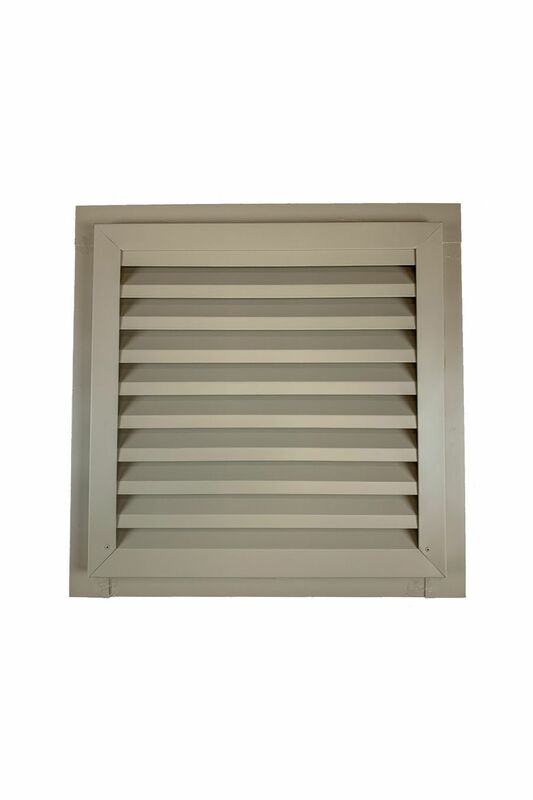 Our Custom Louvers are made with a wood frame and clad with Aluminum so you never have to paint Louver is made in .019 Aluminum with a smooth baked enamel finish in Mastic Wicker. The louver ships with 1 1/2" nail fins attached for installation. Size with fins is 22 1/2" x 22 1/2" 9x9 vent mesh-charcoal colored 1" Depth Quantity Available: 1 Price does not includes shipping costs. All items sold as-is. Louvers has no visible scratches or dents and is in like new condition.